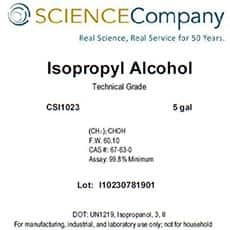 This grade and high concentration of Isopropyl is the optimum choice for thoroughly cleaning work surfaces and equipment in the healthcare and food processing industries. Comes in a five gallon metal can. 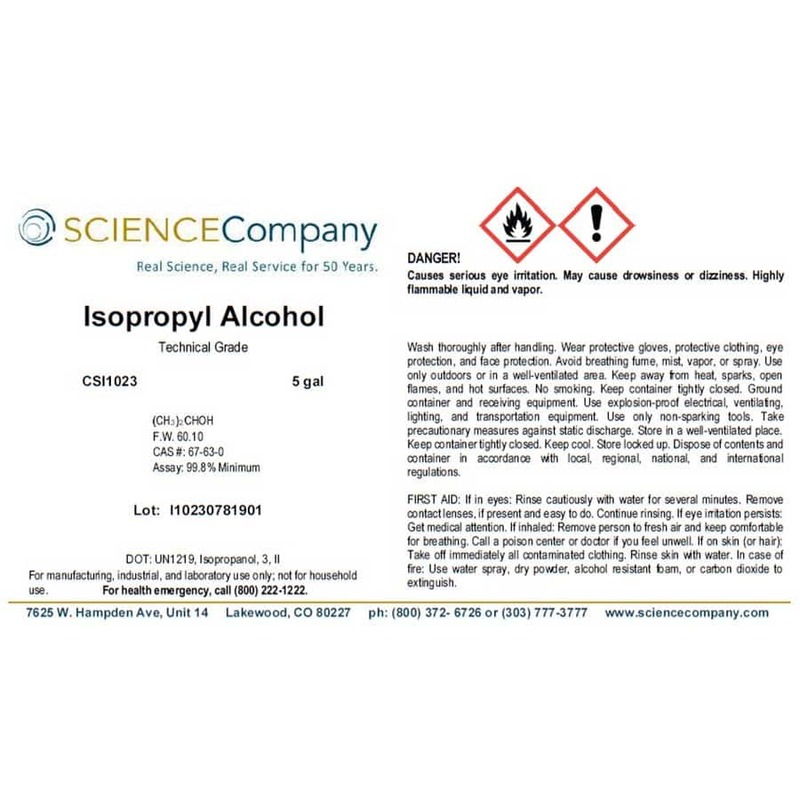 Caution: Isopropyl Alcohol is flammable and a dangerous fire risk. Ships only within the lower 48 US states using Standard Ground. HazMat fee applies. Adult signature required upon delivery. Shipping to a commercial address suggested.